New science and clinical experience reveal concerns about oxalates that far exceed traditional kidney stone pathology. In order to best support their patients and clients, integrative practitioners, and especially diet and nutrition specialists would benefit from greater understanding of their influence. Oxalates are highly reactive molecules; they present in our body as sharp crystals or crystalline structures with jagged edges that cause pain, irritation, and distress. They can bind with certain minerals; particularly calcium and magnesium, as well as iron and copper. Having high oxalate in the body can be problematic; and not giving proper consideration to one’s oxalate intake can impede the effectiveness of even the best healing diet protocol. High oxalate in the body (hyperoxaluria) can be a factor in many chronic conditions; including digestive issues, autoimmune disorders, and neurological conditions. Oxalates affect mitochondrial function and can create inflammation; thus influencing every system in the body. This article explores the repercussions of the oxalate cascade in a variety of chronic diseases; and my follow-up article will specifically investigate oxalates and autism – and how you, the knowledgeable practitioner, can help. Although most commonly identified with the formation of calcium oxalate kidney stones (oxalate bound to calcium), when unbound, free oxalate can interfere with cellular functions; affecting health on a broader, systemic level. Clinical studies and anecdotal experience indicate that oxidative stress, mitochondrial disruption and damage, and nutrient depletions, trigger widely varied symptoms including fatigue and inflammatory cascades, joint pain or pain anywhere in the body. Chronic low energy is very common because of a reduction in ATP in the mitochondria. Oxalates could be a hidden source of headaches, urinary pain, genital irritation, joint, muscle, intestinal or eye pain. Other common oxalate-caused symptoms may include mood conditions, anxiety, sleep problems, weakness, or burning feet. Indicators can be digestive, respiratory, or even bedwetting for children. 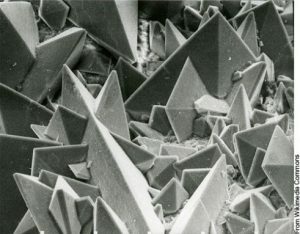 It’s important to note that oxalates can inhibit the absorption of calcium, magnesium, and other minerals; which actually makes oxalates an “anti-nutrient.” Minerals in food become bound by oxalate – for instance calcium (thereby forming insoluble calcium oxalate) – and cannot then be absorbed properly by the intestinal tract. This can lead to mineral deficiencies, such as calcium and/or magnesium deficiency. In the gut of a healthy person, oxalates typically bind together with these minerals (are not absorbed through the gut), then eliminated in the stool. While this inhibits absorption of nutrients, beneficially this ensures they are excreted rather than crossing the gut into the blood stream and causing cellular distress and damage. Oxalates stem from two main sources: exogenous (outside the body; from dietary intake) and endogenous (produced within the body, cell or tissue). Exogenous oxalate can accumulate from a diet that is high in spinach, nuts, beans, or other high oxalate foods. 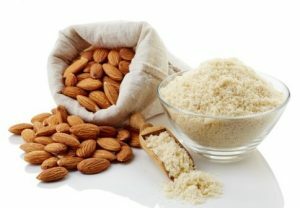 This is why individualizing therapeutic diets is essential; because “by the book” some well-known special diets strongly rely on higher-oxalate foods (especially almonds/almond flour). Diets often heavy on these nut flours include: SCD, GAPS, and Paleo. And vegetarian diets are often high in oxalate; since they usually include many beans, grains, nuts and seeds, as well as high oxalate greens or starchy vegetables, like spinach or sweet potatoes. Practitioners should be aware that diets high in oxalate could create a wide variety of problems for some people. Making informed choices or modifying a diet for oxalate can make a dramatic difference in lowering the oxalate load (note: it is important to reduce oxalates in the diet very slowly). However, most of our body’s total oxalate content is created during normal body metabolism. “It is increasingly accepted that 80-90% of urinary oxalate is produced endogenously,”  within the cell, and this can directly wreak havoc in the body. Each person’s ability to process oxalate varies, based on certain deficiencies, pathways or genetic differences. Some deficiencies, including vitamin B6 and B1 deficiency can cause the body to produce oxalate (endogenously) in problematic amounts. Other deficiencies such as vitamin A deficiency can cause the body to absorb excess oxalate through the gut. The health of the gut and one’s microbiome influence whether or not a person has an issue with oxalate. Oxalates can be a problem when: the gut is inflamed and hyper-permeable (i.e. leaky gut), fat is not digested and there is fat malabsorption, or when there is not enough good bacteria (especially particular forms) to break the oxalate down. Developing problems with oxalates is more likely if there aren’t enough minerals in the gut to bind the oxalate. Leaky gut and low beneficial bacteria can contribute to oxalate problems. Oxalobacter formigenes is a strain of beneficial bacteria that degrade oxalate. Unfortunately, even one, or a few courses of antibiotics can wipe out oxalobacter formigenes for months, if not indefinitely. Certain probiotics break down oxalate, not just the oxalobacter. If there’s a history of antibiotic use, dysbiosis or other conditions that negatively affect the microbiome, one should work on correcting the flora balance, as well as be suspicious of any concerns with oxalates. Excess undigested fat compound matters. The extra fat floating around in the gut can bind to calcium, which makes the calcium unavailable for oxalate binding, causing free oxalate to absorb into the body. With optimal health, good digestion, and mineral intake, calcium would be available for binding to that oxalate; however, when there is excess fat the calcium binds to the fat, allowing the oxalate to be free to get into the bloodstream and into the cells. For people with oxalate issues, it is important to know whether fat malabsorption is at play. A stool analysis can help you determine if fat malabsorption is at play. Some clients/patients may also present with symptoms of fat digestion issues such as floating or greasy stools. For those who have had a GI scope, gastroenterologists can often see signs of fat malabsorption. Once it is determined that fat is not digesting and absorbing, an individual may need to restrict fat intake in their diet to avoid further complication of oxalate issues, particularly in the short run, as they work on digestion whether with digestive enzyme, supporting bile production, or other means. In addition to gut issues, sulfate and sulfation can be underlying factors in oxalate issues. When sulfate is low, and sulfation biochemistry is poor, oxalate problems can arise. Sulfate is very important in the body; it’s needed for processing phenolic foods, and dozens of processes in the body including digestion, gut integrity, and neurodevelopment. There is a two-way relationship between oxalate and sulfate/sulfation. Said another way: oxalates can cause low sulfate and low sulfate can cause oxalate problems. As noted, excess oxalates can lead to poor sulfation by oxalate interfering with the body’s ability to allow sulfate into the cell, inhibiting sulfation. On the other hand, with poor sulfation from low sulfate levels, oxalate more readily gets into a cell on the (unoccupied) sulfate transporter. Another way that low sulfate can cause problems with oxalates, involves the role of the kidneys. Susan Owens, who heads the Autism Oxalate Project, said that insufficient sulfate inside the kidney tubule cells would interfere with the ability of the kidneys to remove oxalate from the blood and to deliver the oxalate to the urine. Therefore, inadequate sulfate could cause higher levels of oxalate in the system. It’s a double-edged sword if you’ve got low sulfate. If there isn’t enough sulfate, you might not be regulating your oxalate very well. Depleted sulfate can allow for higher oxalate absorption, and the more oxalate you absorb, the less sulfate your body is likely to have. Because there are so many conditions that have poor sulfation underlying them, it’s sensible to consider a low oxalate diet and other support for a variety of chronic health matters. We need to step well outside the mainstream thinking of just kidney stones. Furthermore, when sulfate is low, it can cause phenol reactions to various foods. Therefore, those who have low sulfate may also have an issue with phenols and with oxalates in food. It’s not across the board, but these are some of the key relationships. People with depleted sulfate frequently do well on a low phenol and low oxalate diet. Of course, that cannot be true for everyone – which is why BioIndividual Nutrition is essential. Routinely though, when I’m supporting clients to lower oxalate, I will consider the potential benefit of a low phenol regime as well. Oxalates, inside the cell, can damage the mitochondria. Once oxalate impedes mitochondria function, it can affect every cell, organ, and system of the body. This is a primary reason that oxalates can become so problematic. But it’s also why the full scope of oxalate’s effect on chronic disease can be wide reaching and difficult to study through association. But how does oxalate get into the cell and damage the mitochondria? I earlier noted that when sulfate is low, oxalate can be “transported” into the cell on the sulfate transporter, and disrupt or damage the mitochondria. Additionally, oxalate can get into the cell by endogenous production, which happens in the cell and, therefore, doesn’t require being transported in. While high oxalate may or may not be the initial impetus of mitochondrial conditions, because of their tendency to get into the mitochondria and cause damage, it’s reasonable to assume that oxalate is an important factor to consider for those with mitochondrial issues. There are even more pieces to this puzzle. High oxalate can lead to oxidative stress, and subsequently inflammation and injury,, which can cause oxalate stone formation in the kidney, and damage to any soft tissue or area of the body where they interfere with cellular function. High oxalates can elevate superoxide and deplete glutathione and antioxidant status. Conversely, antioxidants and free radical scavengers can decrease oxalate stone formation in the kidney, as well as reducing the inflammation caused by oxalate. Oxidative stress, inflammation, and low glutathione status are common manifestations in many chronic diseases. 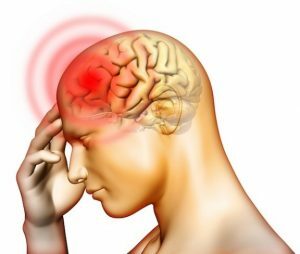 Understanding this relationship and the potential sources of chronic inflammation and stress can help practitioners appropriately address the triggers that can be causing the problems, and in this case, oxalate is an important factor to consider. For people or practitioners addressing issues with oxidative stress, inflammation, and the aforementioned conditions, it’s important to consider oxalate’s potential systemic implications when devising therapeutic intervention. Oxalate can affect many systems of the body. Extensive research indicates a multitude of chronic health conditions where systems are impaired and oxalate is implicated. For fifteen years I’ve researched and educated parents and clinicians about therapeutic diet and nutrition for autism. It’s a very complex chronic disorder, and studying its intricacies provides great insight into addressing a wide variety of health conditions. From the list of conditions in this article alone, you can see the similarities of implicating factors are great. Autism and many other disorders share underlying mechanisms of inflammation, mitochondrial dysfunction, and faulty methylation and sulfation, as well as digestive disorders, leaky gut, and dysbiosis as we’ve discussed today. As we continue to survey the underlying factors and consider how oxalate may play a role, it’s easy to appreciate, and not particularly surprising, that there are so many chronic disorders that may be affected by oxalate. The degree of overlap in those conditions is significant and worth exploring more deeply. In my next article, I’ll dive into this topic even further – looking specifically at oxalate and autism. Through that overarching “lens” I’ll share what I’ve researched, learned, and experienced over the years and share what you can do – as a clinician or parent, to help your patient/client or child – when you suspect that oxalates may be an issue. Lee, Hyo-Jung, et al. (2012). “Gallotannin suppresses calcium oxalate crystal binding and oxalate-induced oxidative stress in renal epithelial cells.” Biological & Pharmaceutical Bulletin 35(4): 539–544. Veena, C. K., Josephine, A., Preetha, S. P., Rajesh, N. G., & Varalakshmi, P. (2008). Mitochondrial dysfunction in an animal model of hyperoxaluria: a prophylactic approach with fucoidan. European Journal of Pharmacology 579(1), 330-336. Pfeiffer, H., et al. (2004). “Fatal cerebro-renal oxalosis after appendectomy.” International Journal of Legal Medicine 118.2, 98-100. Chen, Chien-Liang, et al. (2002). “Neurotoxic effects of carambola in rats: the role of oxalate.” Journal of the Formosan Medical Association 101.5, 337-341. Conyers, R. A., R. Bais, and A. M. Rofe. (1990). “The relation of clinical catastrophes, endogenous oxalate production, and urolithiasis.” Clinical chemistry 36, no. 10, 1717-1730. Waring, R. H., and L. V. Klovrza. (2000). “Sulphur metabolism in autism.” Journal of Nutritional and Environmental Medicine 10, no. 1, 25-32. Alberti, Antonino, Patrizia Pirrone, Maurizio Elia, Rosemary H. Waring, and Corrado Romano. (1999). “Sulphation deficit in “low-functioning” autistic children: a pilot study.” Biological Psychiatry 46, no. 3, 420-424. Scadding, G. K., R. Ayesh, J. Brostoff, S. C. Mitchell, R. H. Waring, and R. L. Smith. (1988). “Poor sulphoxidation ability in patients with food sensitivity.” BMJ: British Medical Journal 297, no. 6641, 105. Moss, Margaret, and Rosemary H. Waring. (2003). “The plasma cysteine/sulphate ratio: A possible clinical biomarker.” Journal of Nutritional and Environmental Medicine 13, no. 4. 215-229. Biswas, Subrata K., et al. (2007). “Which comes first: renal inflammation or oxidative stress in spontaneously hypertensive rats?” Free Radical Research 41.2, 216-224. Khan, Saeed R. (2005). “Hyperoxaluria-induced oxidative stress and antioxidants for renal protection.” Urological Research 33.5, 349-357. Khand, F. D., et al. (2002). “Mitochondrial superoxide production during oxalate-mediated oxidative stress in renal epithelial cells.” Free Radical Biology and Medicine 32.12, 1339-1350. Vargas, Diana L., et al. “Neuroglial activation and neuroinflammation in the brain of patients with autism.” Annals of neurology 57.1 (2005): 67-81. Li, Xiaohong, et al. “Elevated immune response in the brain of autistic patients.” Journal of neuroimmunology 207.1 (2009): 111-116. Rossignol, D. A., and R. E. Frye. “A review of research trends in physiological abnormalities in autism spectrum disorders: immune dysregulation, inflammation, oxidative stress, mitochondrial dysfunction and environmental toxicant exposures.” Molecular psychiatry 17.4 (2011): 389-401. 4 Donev, Rossen, and Johannes Thome. “Inflammation: good or bad for ADHD?.” ADHD Attention Deficit and Hyperactivity Disorders 2.4 (2010): 257-266. Donev, Rossen, and Johannes Thome. “Inflammation: good or bad for ADHD?.” ADHD Attention Deficit and Hyperactivity Disorders 2.4 (2010): 257-266. Miller, Gregory E., and Ekin Blackwell. “Turning Up the Heat Inflammation as a Mechanism Linking Chronic Stress, Depression, and Heart Disease.” Current Directions in Psychological Science 15.6 (2006): 269-272. Raison, Charles L., Lucile Capuron, and Andrew H. Miller. “Cytokines sing the blues: inflammation and the pathogenesis of depression.” Trends in immunology 27.1 (2006): 24-31. O’Donovan, Aoife, et al. “Clinical anxiety, cortisol and interleukin-6: Evidence for specificity in emotion–biology relationships.” Brain, behavior, and immunity 24.7 (2010): 1074-1077. Pitsavos, Christos, et al. “Anxiety in re- lation to inflammation and coagulation markers, among healthy adults: the AT- TICA study.” Atherosclerosis 185.2 (2006): 320-326. Saetre, Peter, et al. “Inflammation-relat- ed genes up-regulated in schizophrenia brains.” Bmc Psychiatry 7.1 (2007): 46. Leonard, Brian E., Markus Schwarz, and Aye Mu Myint. “The metabolic syndrome in schizophrenia: is inflammation a contributing cause?.” Journal of Psychopharmacology 26.5 suppl (2012): 33-41. Konstantynowicz, J., Porowski, T., Zoch-Zwierz, W., Wasilewska, J., Kadziela-Olech, H., Kulak, W., Owens S.C., Piotrowska-Jastrzebska J., and Kaczmarski, M. (2012). A potential pathogenic role of oxalate in autism. European Journal of Paediatric Neurology 16(5), 485-491. Terribile, Maurizio, Maria Capuano, Giovanni Cangiano, Vincenzo Carnovale, Pietro Ferrara, Michele Petrarulo, and Martino Marangella.(2006). “Factors increasing the risk for stone formation in adult patients with cystic fibrosis.” Nephrology Dialysis Transplantation 21, no. 7, 1870-1875. Goldman, Max, and Gregory J. Doering. (1979). “The effect of dietary ingestion of oxalic acid on thyroïd function in male and female Long-Evans rats.” Toxicology and Applied Pharmacology 48, no. 3, 409-414. Danese, Silvio, Stefano Semeraro, Alfredo Papa, Italia Roberto, Franco Scaldaferri, Giuseppe Fedeli, Giovanni Gasbarrini, and Antonio Gasbarrini. (2005). “Extraintestinal manifestations in inflammatory bowel disease.” World Journal of Gastroenterology 11, no. 46, 7227.